From a writer who has won comparison with Thomas Pynchon and William S. Burroughs comes thirteen unnerving and often breathtaking stories populated by punks and angels, skinheads and religious assassins, streetwalkers and fetishists--people who live outside the law and and the clear light of the every day. Set in landscapes as diverse as ancient Babylon, India, and the seamy underbelly of San Francisco, these daring and innovative tales are laced with Vollmann's fertile imagination. 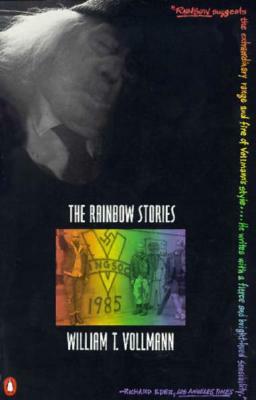 The Rainbow Stories ushers us into a world that bears an awful yet hypnotic resemblance to that of our deepest nightmares, confirming Vollmann's reputation as a dark visionary of contemporary fiction. William T. Vollmann is the author of ten novels, including Europe Central, which won the National Book Award. He has also written four collections of stories, including The Atlas, which won the PEN Center USA West Award for Fiction, a memoir, and six works of nonfiction, including Rising Up and Rising Down and Imperial, both of which were finalists for the National Book Critics Circle Award. He is the recipient of a Whiting Writers Award and the Strauss Living Award from the American Academy of Arts and Letters. His journalism and fiction have been published in The New Yorker, Harpers, Esquire, Granta, and many other publications.